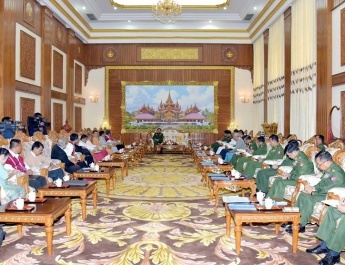 Commander-in-Chief of Defence Services Senior General Min Aung Hlaing accompanied by Union Minister for Border Affairs Lt-Gen Ye Aung, Commander-in-Chief(Navy) Admiral Tin Aung San, Commander-in-Chief (Air) General Maung Maung Kyaw and senior military officers from the Office of the Commander-in-Chief (Army) arrived at the meeting hall of the Northern Command Headquarters this morning where they were explained by Commander Maj-Gen Teza Kyaw about the matters relating to regional security, peace and stability, regional situation and developmental assistances, sales of goods from the all-round agriculture and livestock tasks to Tatmadawmen and departmental staff at reasonable prices and undertakings of general staff, adjutant and quartermaster functions. 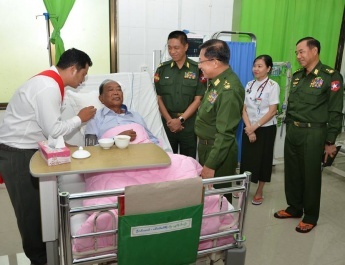 After hearing the reports, the Senior General attended to the requirements. 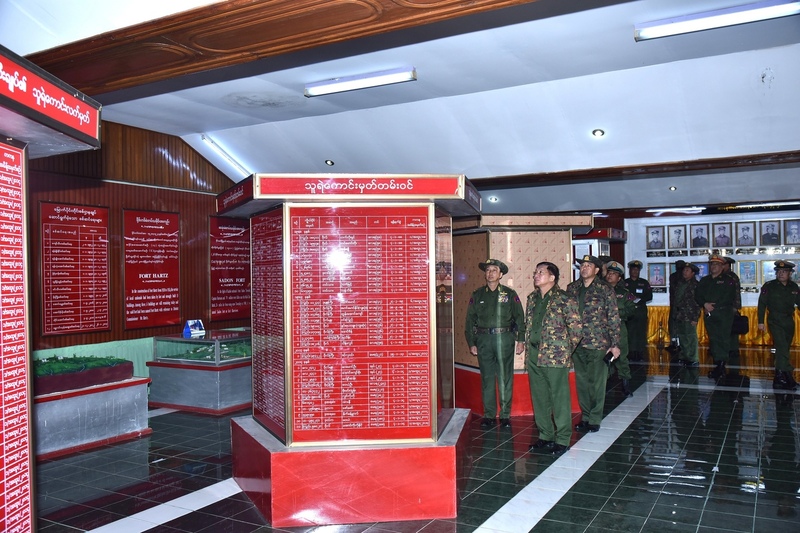 Afterwards, the Senior General and party viewed round the history of the independence struggle, photos of military operations in the command,documentary photos for peace, scale models and historical evidences of Kaungton, Hsama,Hsadon and Ford Hard fortresses and historical records, records of famous wars and military operations, and medals won in the Tatmadaw(Army, Navy and Air) sports competitions in the historical museum of the Northern Command Headquarters . 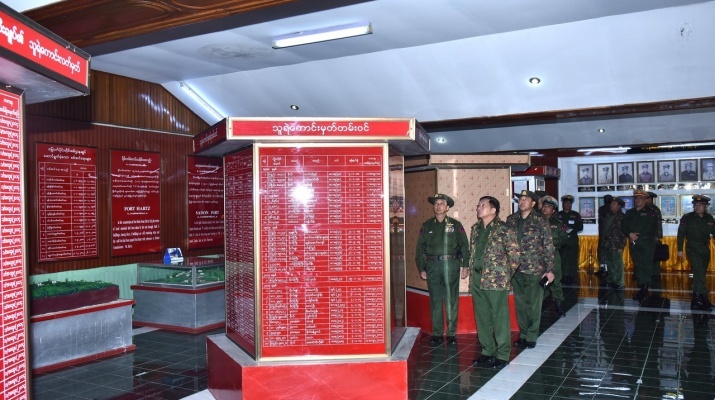 Then, the Senior General signed the visitors’ book. 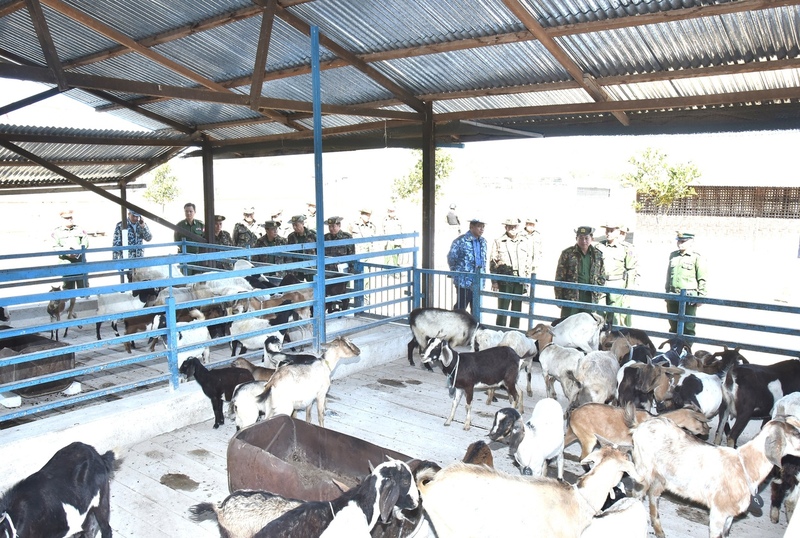 On arrival at the briefing hall of the allround agriculture and livestock farm of the Northern Command, the Commander presented reports to the Senior General and party on breeding of broilers and layers,DYL pigs, dairy cows, goats and fish;cultivation of seasonal crops in Green House,growing of perennial crops, drumstick trees and shady windbreaks; sales of meat, fish,milk, eggs and vegetables to Tatmadaw families and departmental staff at reduced prices and utilization of natural fertilizer(Superbokashi). 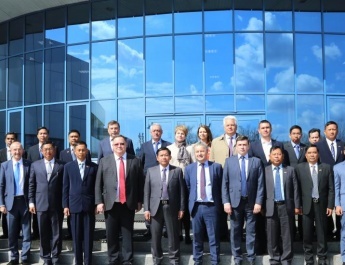 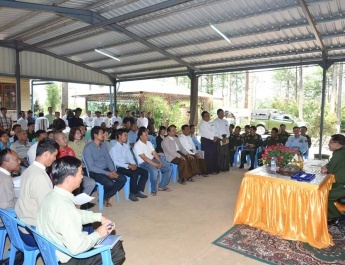 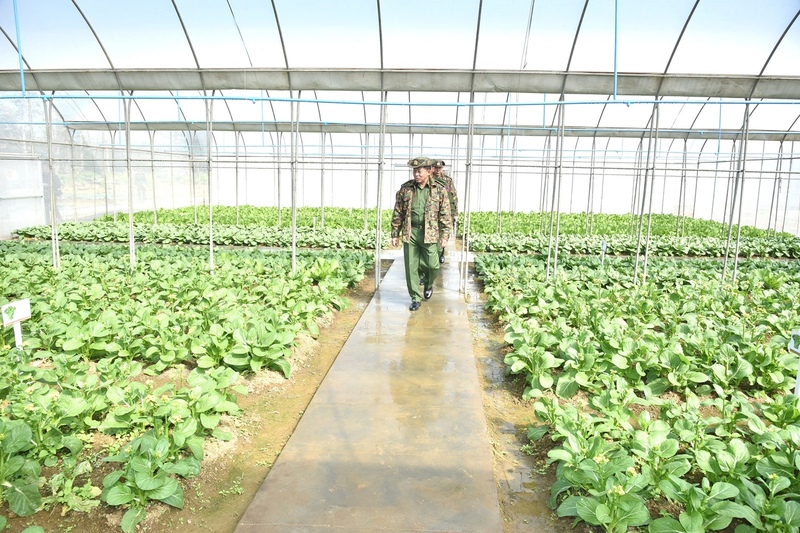 After hearing the reports, the Senior General instructed officials to sell broilers in the designated period, to grow drumstick trees successfully as they are medicinal, to sell meat, fish, milk, eggs and vegetables to Tatmadaw families and departmental staff at reduced prices for their welfare but not for profits, and to become a model for the local people with the successful implementation of the agriculture and livestock industry. 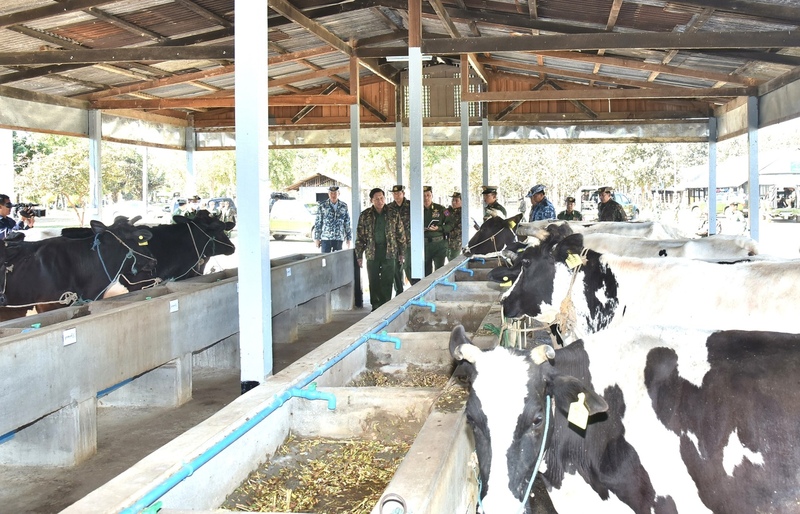 Next, the Senior General and party viewed round the growing of crops in Organic Green House and breeding of goats, Novogen Brown layers with the use of Layer Form Automatic Cool System and dairy cows in the all-round agriculture and livestock farm where they were explained by the command commander and officials concerned.